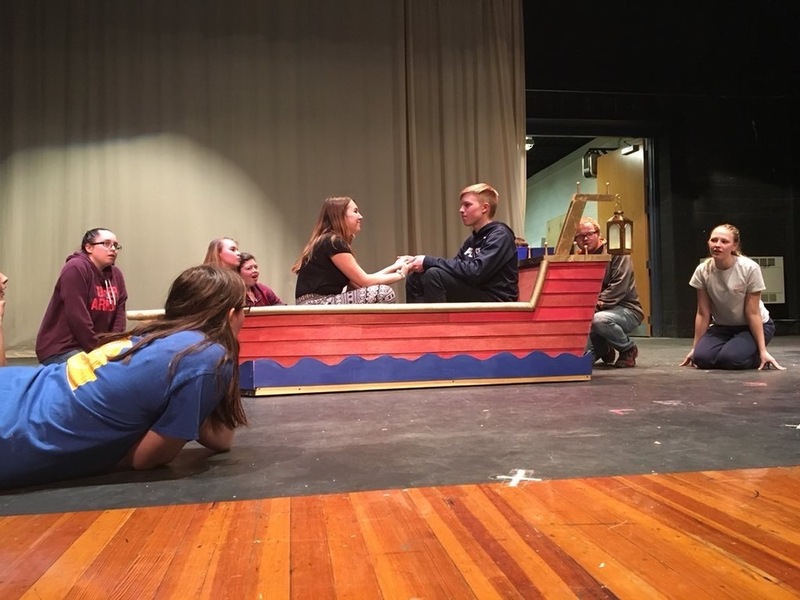 Many students in this year’s Bald Eagle Area Drama Club are hoping their production of “The Little Mermaid” will help win them an Isaac Award presented annually to those involved in high school performing arts programs for their outstanding work. “We’re going all out and it’s going to be a lot of fun,” said choir Director and Drama Club adviser Ryan Wade. The more than 50 students involved on stage and behind the scenes are in crunch time preparing for the spring musical that will be held 7:30 p.m. April 26-28 at the Bald Eagle Area Middle and High School auditorium. Tickets are $8 for adults and $5 for students or children. Wade assures the public they will recognize the storyline and many classic songs, along with some new tunes. Preparations began in the beginning of February, and includes a highly-involved student-run crew that helps with set design, lights and more.